Launch the app, and select New Album from the top right-hand corner. 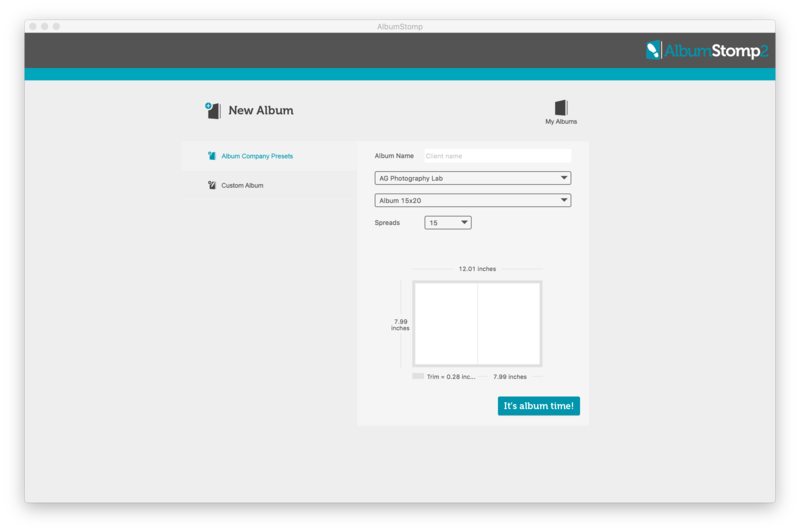 From here you can select Album Company Presets and select your album company from the drop-down menu, then the album that you want and how many spreads that you want. 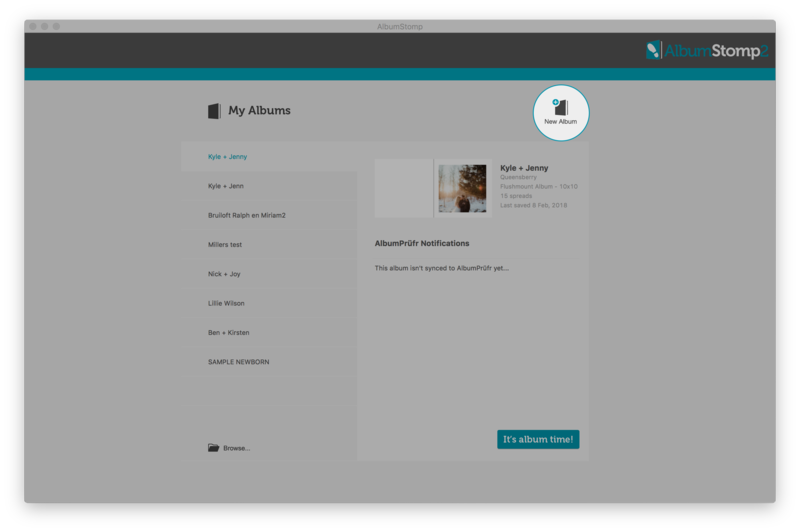 Otherwise, you can select Custom Album. From here you enter your new album dimensions, trim, DPI and spread count. Once you’re ready to go, hit It’s Album Time!